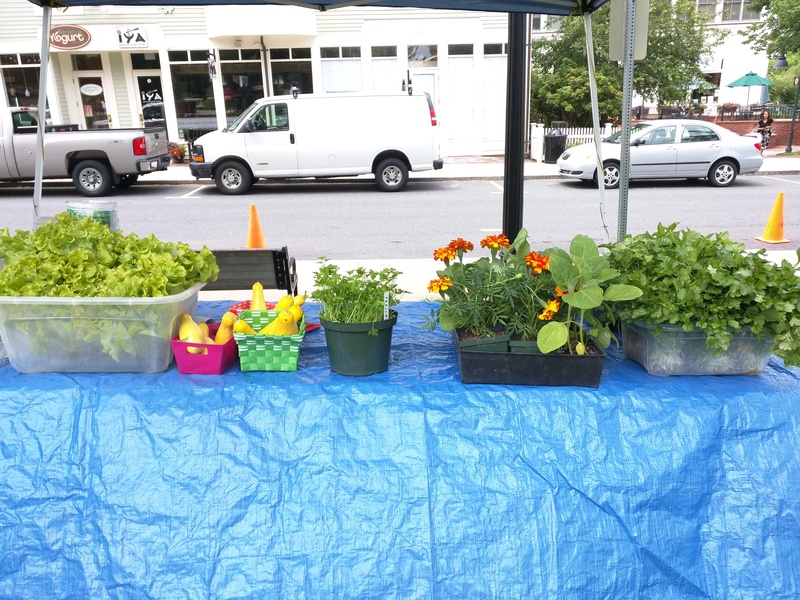 Tomorrow is the last Market day in June-it’s crazy how fast time has gone! 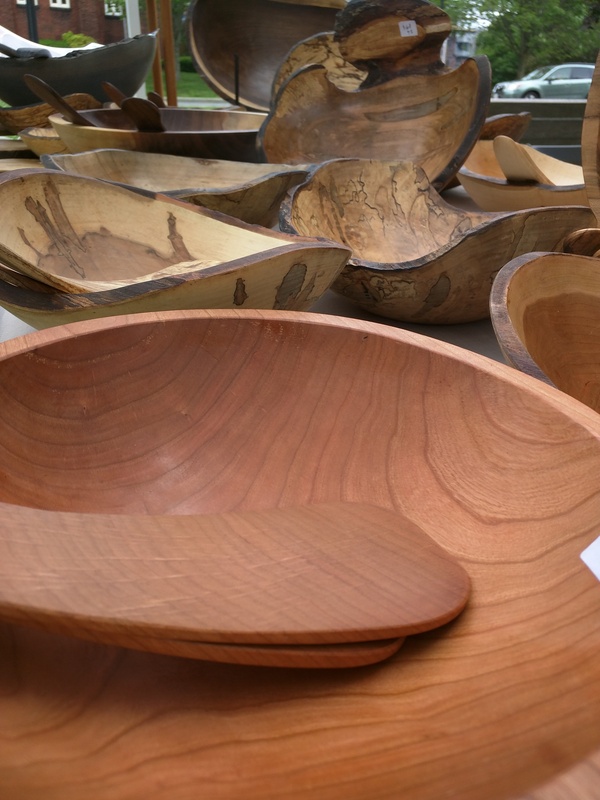 Last week, Peterman’s Bowls came for their first time at the Market, with their hand-turned wooden pieces made out of locally fallen trees. 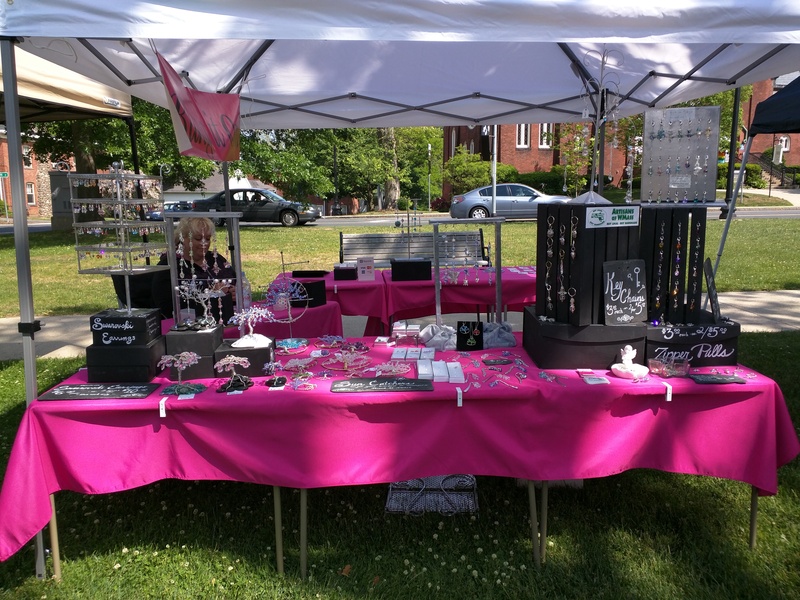 The pieces were absolutely gorgeous, and we’re lucky to have Peterman’s come to the Market once a month! Make sure to be signed up for our newsletter to know what to expect at future Markets! 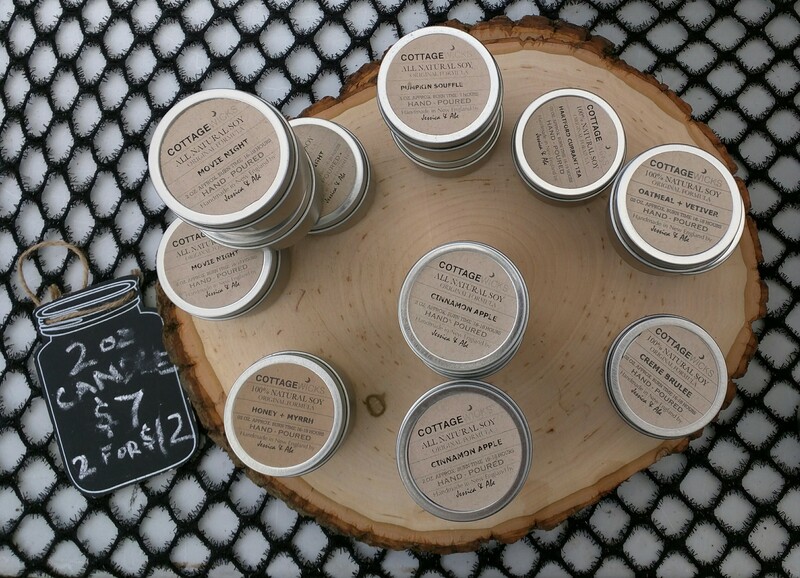 A close-up of some of the beautiful pieces at the Market last week. Some of Dave’s beautiful produce! How vibrant are those cilantro bunches!? 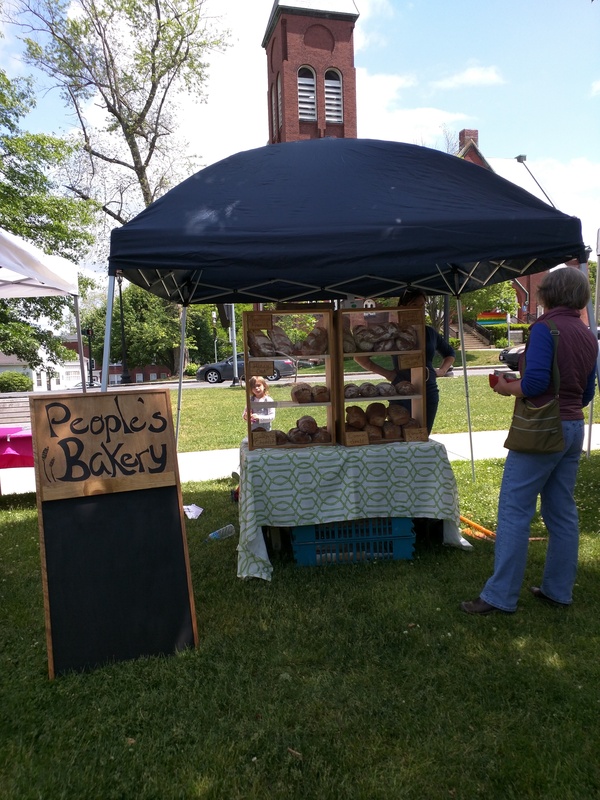 People’s Bakery unfortunately couldn’t make it last week, but they well definitely be there tomorrow! Sun Kim Bop’s specials of the day are constantly changing, so like us on Facebook to get updates! 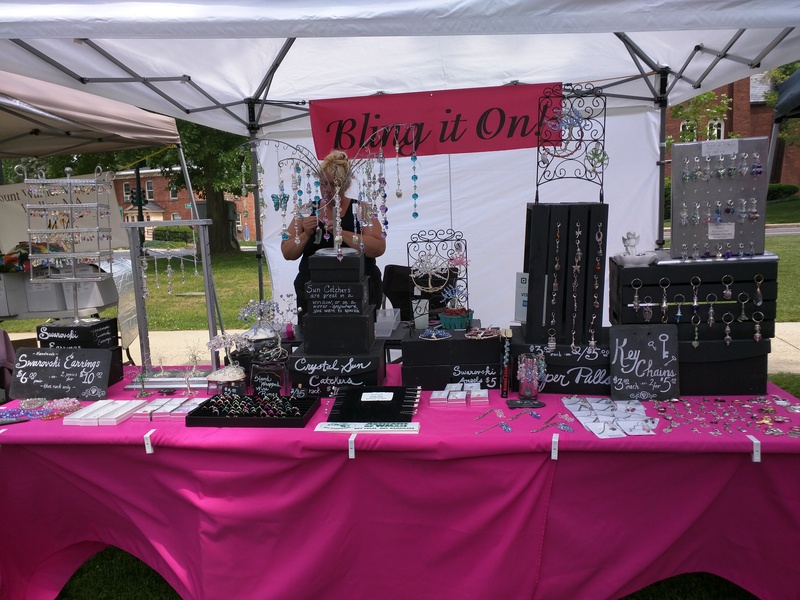 Bling It On wasn’t at the Market last week due to an illness, but she’ll be back tomorrow! The Bees Knees International Cafe Orchestra (3:30-5:30 pm) – Play music from France, Brazil, Argentina and elsewhere, including American swing from the 1930’s. The players include Charlie Gamble on saxophone, Gus Hollingsworth on accordion, Jimmy Burgoff on 5-stringed, left-handed, acoustic bass and Siriham Khalsa on guitar. 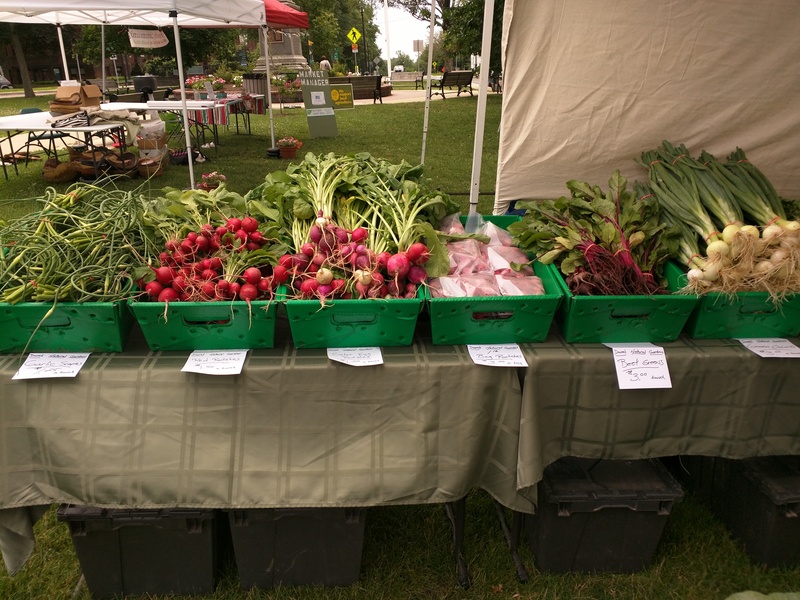 Tomorrow will be our third market of the season, so expect to recognize our usual vendors as well as meet a few new ones! 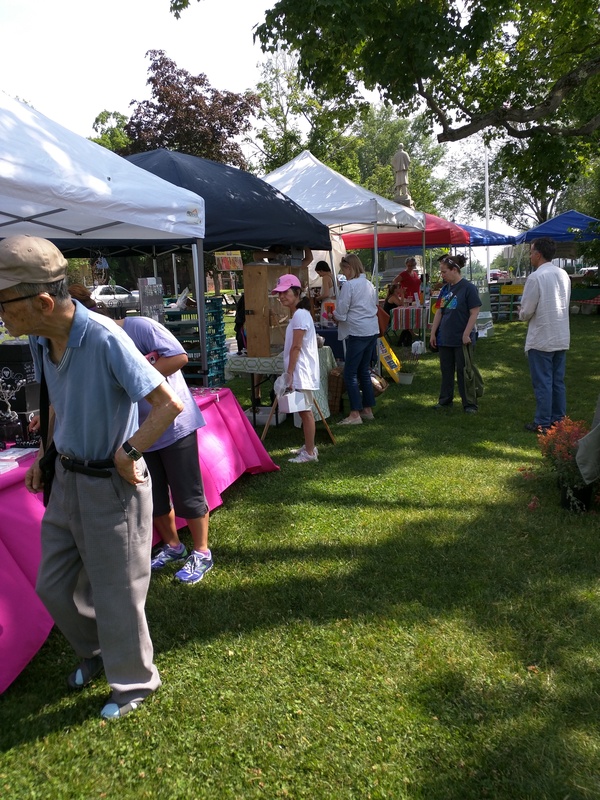 Just a quick reminder that some of our vendors will be joining us every week, some will join every other week, and others will be making special appearances throughout the season. 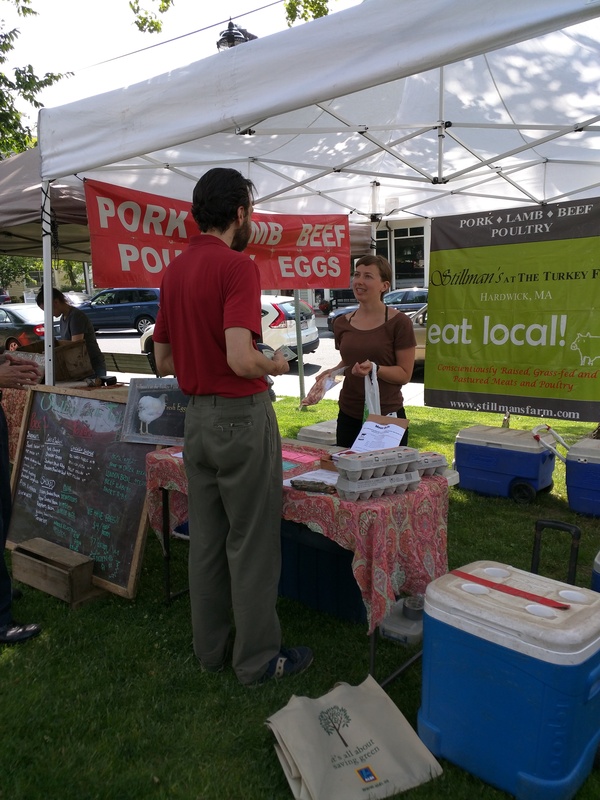 We will do our best to let you know what you can expect to find at each market, so be sure to be signed up for our newsletter and like our Facebook page for updates! 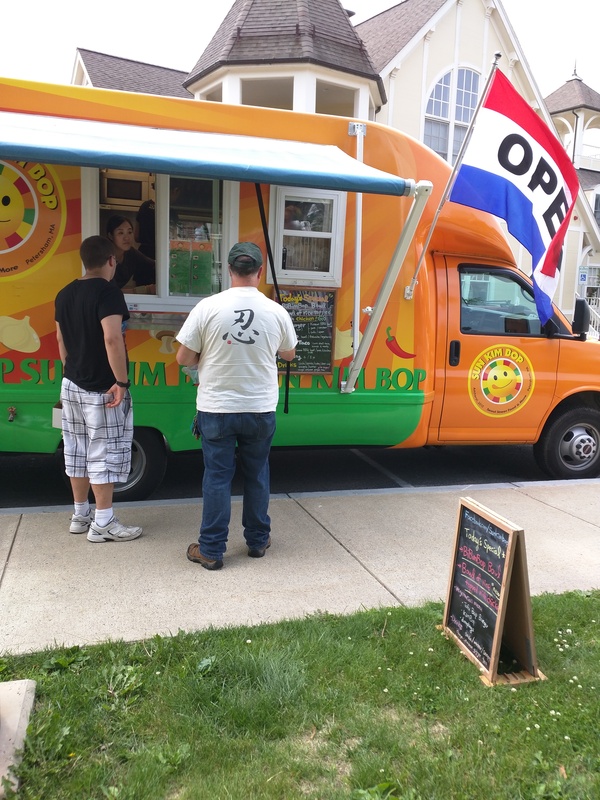 This week’s market will be quite eventful with the Sun Kim Bop food truck parked along the edge of the green, a music performance by Paper City Exile, as well as a visit from the Food Bank of Western MA to introduce SNAP. Last week was graced with gorgeous weather and so many of you! We hope to see you all (and more!) tomorrow! 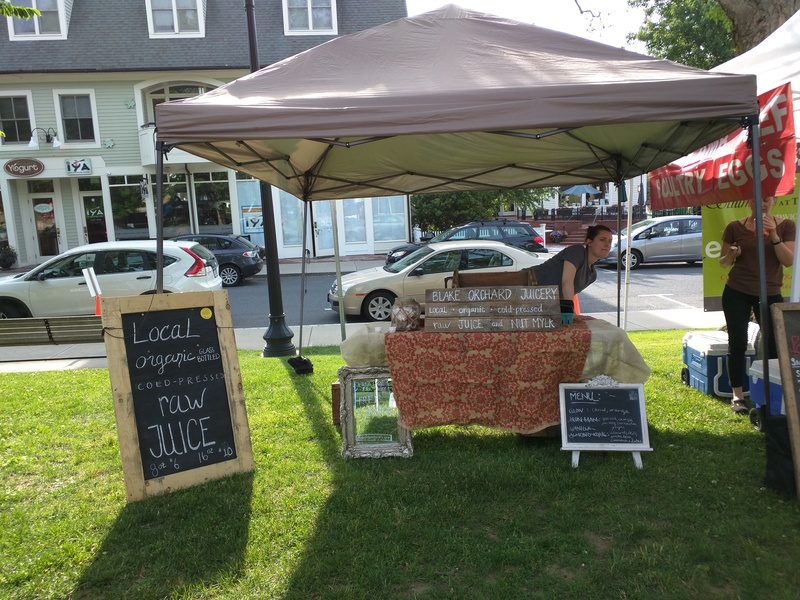 By the end of the last market day, Blakes sold out of 3 of their 4 juices! 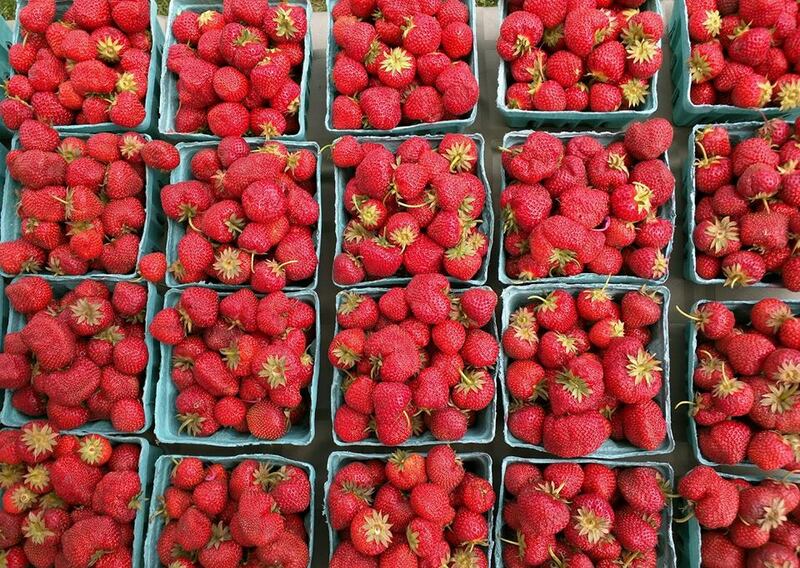 Check out these beautiful strawberries from Dave’s last week! Mt. 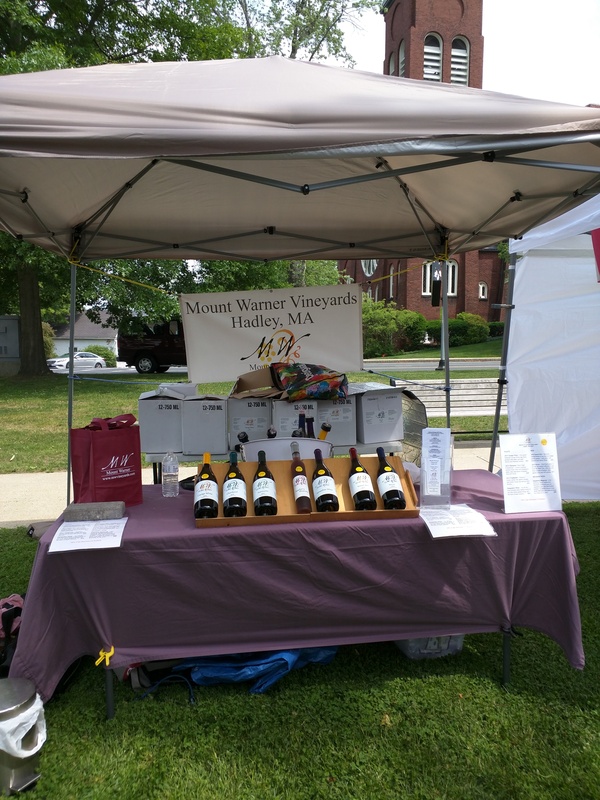 Warner Vineyard – Award-winning wines from grapes (and raspberries) harvested in Hadley, MA, including Cayuga White, Chardonel, and Sunset Red; Raspberry Rhapsody port-style dessert wine. These two were lucky to be under the shade-It was quite sunny last week, haha! 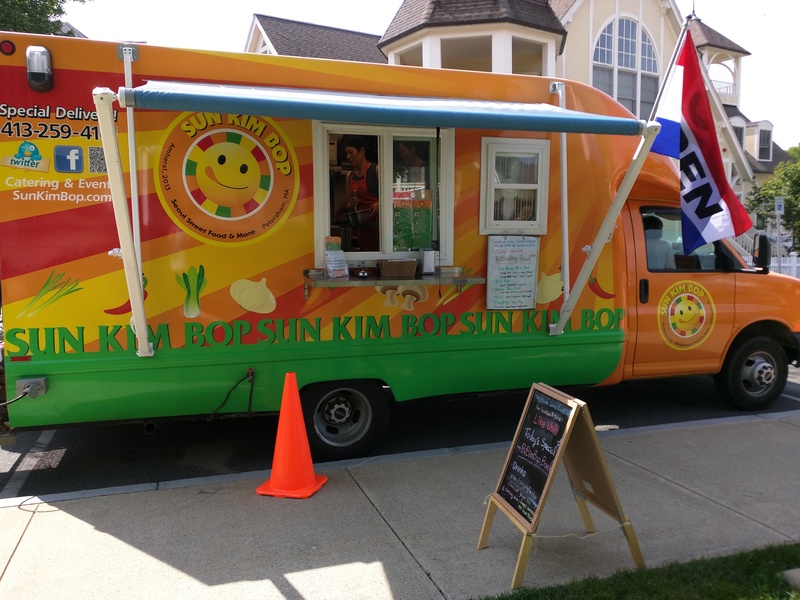 Sun Kim Bop will be parked right alongside the Market! Peterman’s Boards and Bowls: Handcrafted cherry, spalted and ambrosia maple, black walnut, cherry burl and ebonized products made from local upcycled wood. Also showing the new “Driftwood” line of bowls. It was great to see everyone walk around the market with smiles on their faces. 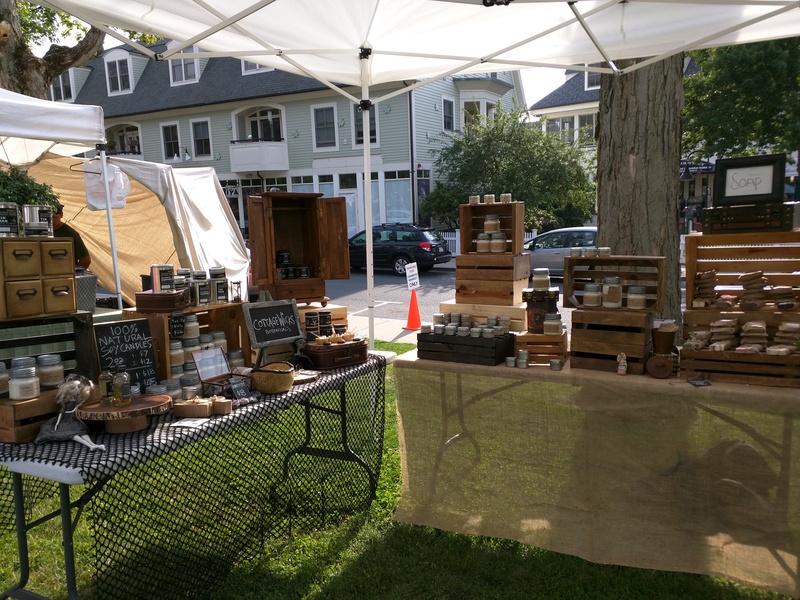 This week, we’ll have some returning vendors as well as new ones. 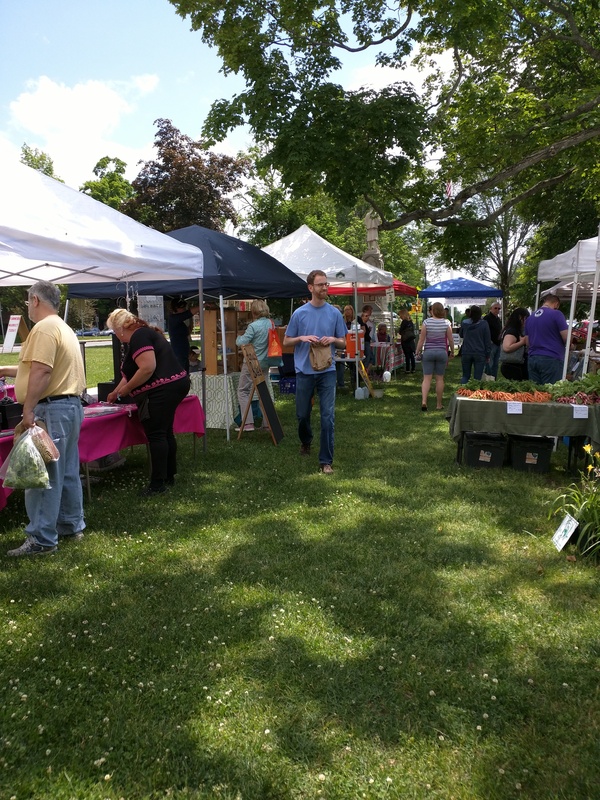 Some of our vendors will be joining us every week, some will join other week, and others will be making special appearances throughout the season. We’ll keep you updated through the newsletter, our Facebook, as well as this website. Blake Orchard Juicery – Vanilla almond mylk (which sold out last week), Clean Buzz, as well as an orange and green juice. 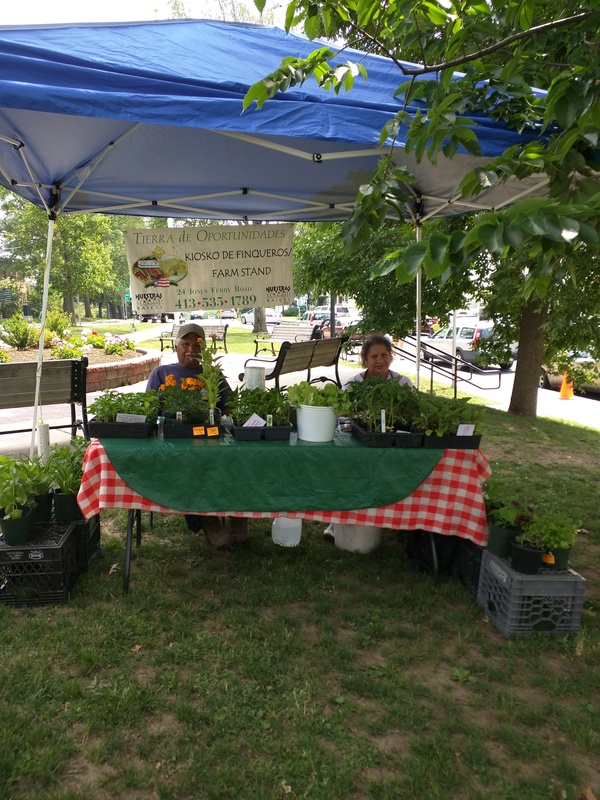 Dave’s Natural Garden – Strawberries, radishes, lettuce, kale, herbs, and flowers (perennials, hanging baskets). 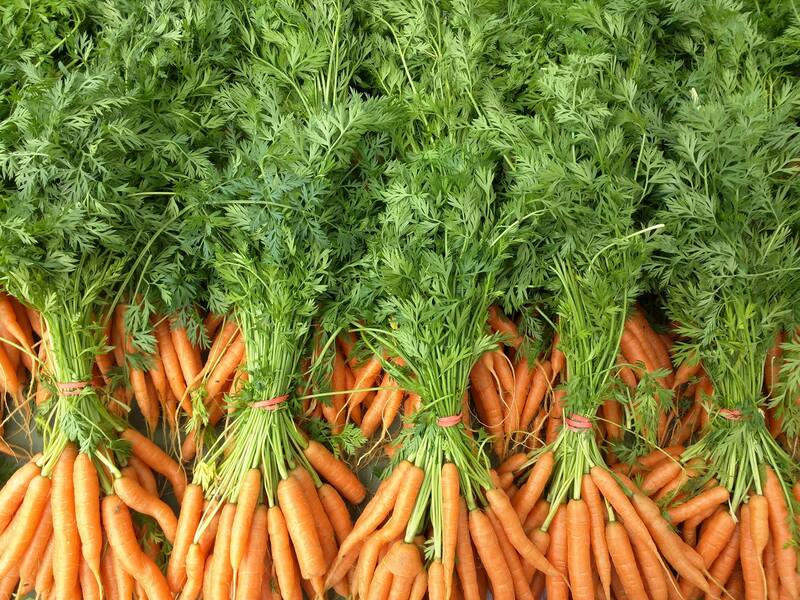 These carrots from Dave’s were incredibly sweet and delicious! Haye’s Home Roast – Locally roasted coffee beans and coffee. I Can With – Fresh salsa made with locally grown produce. Mt. Warner Vineyard – Award-winning wines from grapes and fruit harvested in Hadley, MA. 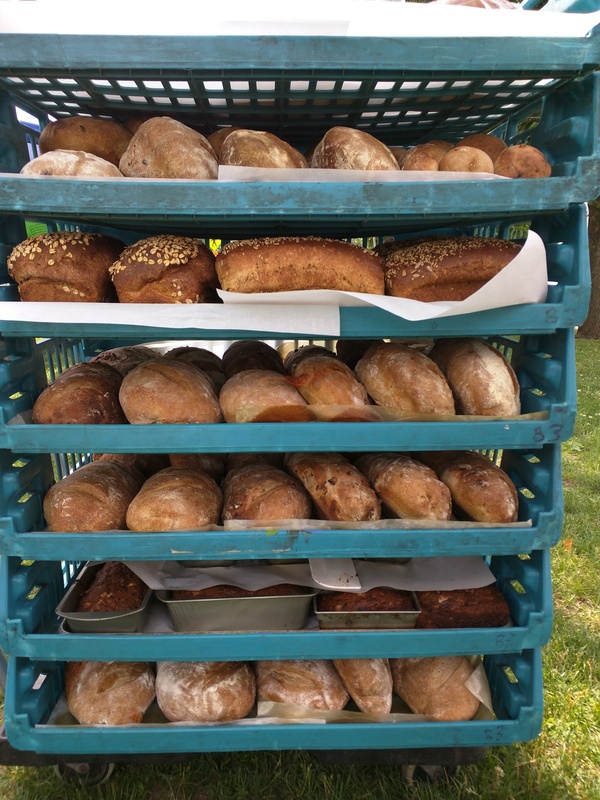 People’s Bakery – Sourdough artisan loaves, organic spelt, sandwich loaves, granola, cookies, and hand-made market bags. This picture was taken shortly before People’s Bakery completely sold out of their loaves! Stillman’s Quality Meats – Handmade sausages, hand-cut bacon, farm-butchered meat. 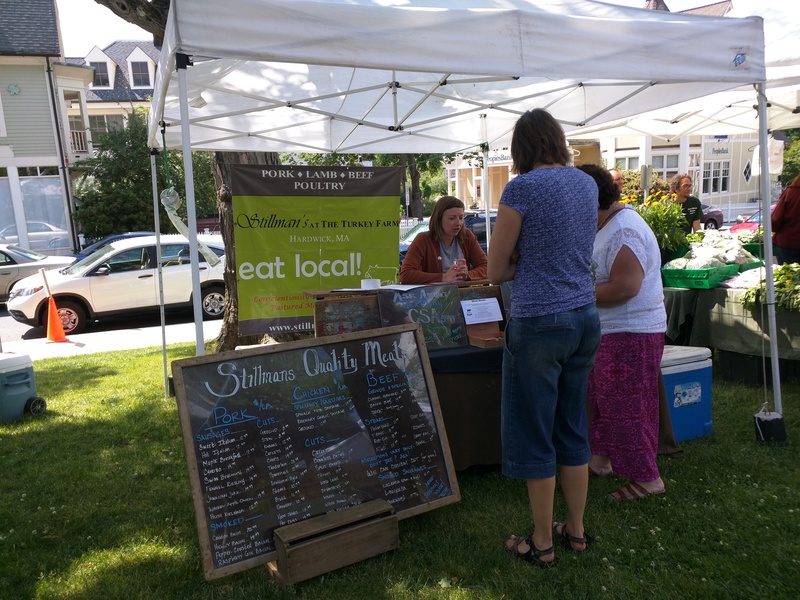 Stillman’s brings different items every week, but they’re guaranteed to always be fresh and local. Masala Jazz will perform from 2-5 pm, playing jazz-blues fusion. 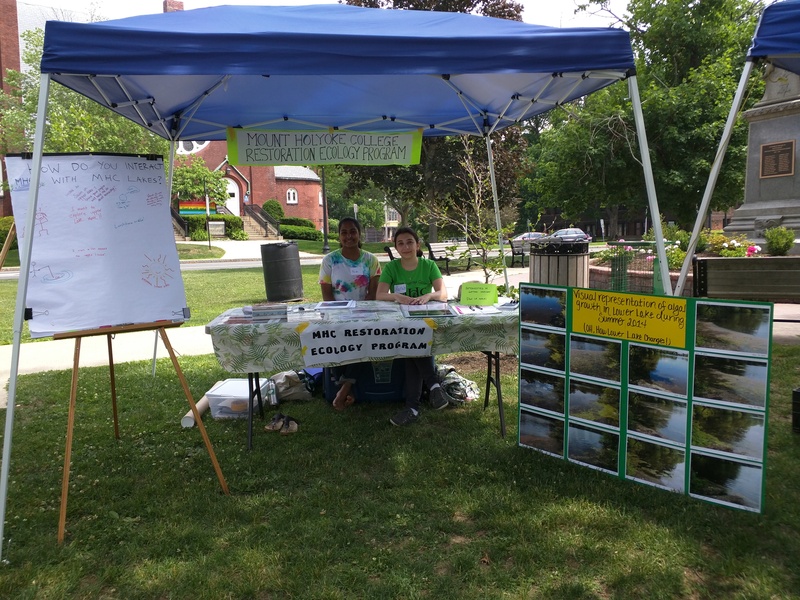 Mount Holyoke College Restoration Scholars Program – Stop by to learn about the FREE restoration ecology summer program for high school girls (July 20-24). Leave a comment Tomorrow’s Market!